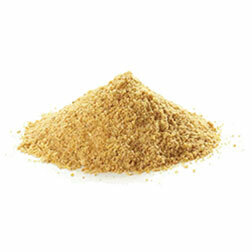 *FAQ - Fair Average Quality Indian Soybean Meal (FAQ) is manufactured using Non-GMO Soybean Seeds. Before processing, seeds go though multiple stage cleaning for removal of foreign materials. The graded seeds are then cracked, de-hulled, conditioned and rolled into akes. The akes after effcient extraction, are de-solventised. The desired consistency is obtained though vibro graders. Packaging: 50 Kg HDPE Bags or as per customer requirement Intended use: Use only for the animal feed industry Shelf Life: Use within 18 Months from the date of manufacture. Storage Condition: Store in a cool & dry place at ambient temperature. Shouldn't be exposed to a humid condition.